The Economic and Financial Crimes Commission (EFCC) has detained a former Minister of State for FCT, Jumoke Akinjide, just as the anti-graft agency invited a former Minister of Aviation and current lawmaker representing Anambra-North senatorial district, Stella Oduah, for questioning. This was disclosed in a statement issued in Abuja by EFCC’s spokesperson, Wilson Uwujaren, yesterday. According to the statement, Oduah was invited to explain her role in the procurement of two bullet-proof BMW vehicles for N225m while she was minister. 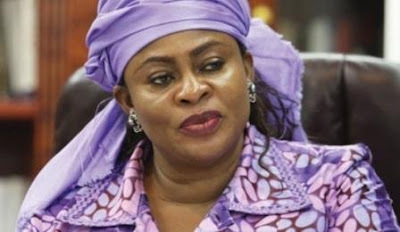 Stella Oduah’s attempt to stop her arrest over the purchase of the armoured vehicles had suffered setback as a Federal High Court in Abuja dismissed her application. The former minister for aviation, who is under investigation by the EFCC, had filed a suit against the EFCC, police and the Attorney General of the Federation asking the court to stop them from “inviting, arresting, investigating or prosecuting” her. Meanwhile Akinjide was detained for evading arraignment in the Federal High Court Ibadan, presided by Justice Ayo Emmanuel, over 24 counts of money laundering in Suit No.FHC/1B/26C/2017. The commission, therefore, withdrew the detention order against a member of the House of Representatives, Aliyu Pategi, who stood surety for her. Aliyu, a federal lawmaker representing Edu/Moro/Patigi Federal Constituency of Kwara State was on Friday remanded in EFCC custody by a Lagos State Magistrate Court, Igbosere for failing to produce Akinjide when needed by investigators and for her failure to appear before a Federal High Court sitting in Ibadan for three proceedings.